(ALSO MARCH 31) Saloon has kept audiences laughing on four continents since its 2016 premiere. Cirque Éloize’s jugglers, aerialists, and lasso masters amaze and astound as the beautiful Belle holds the cowboys under a spell that sets off an action-packed chase worthy of any great Western, all to live musical accompaniment. 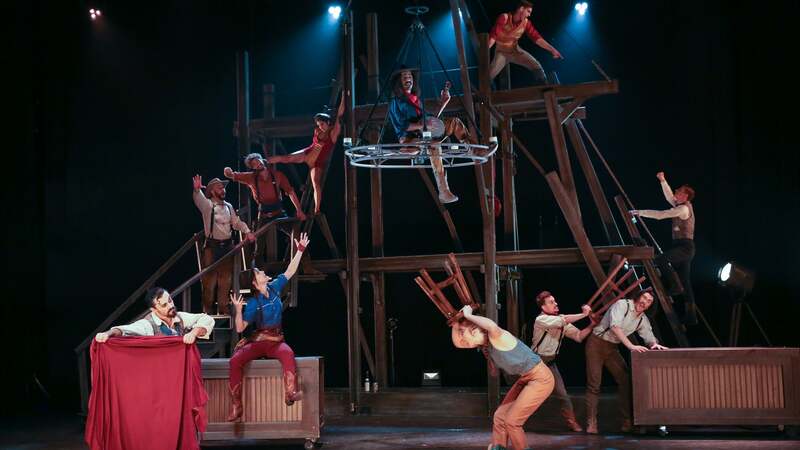 So swing open the saloon doors and join the fun with Montreal-based Cirque Éloize, one of the world’s leading contemporary circuses that is equally at home on Broadway or in London’s West End.